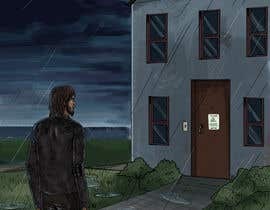 For this project, I would like to see a homeless man standing in front of an empty house in the rain. The homeless man is wearing old, torn, dirty clothes. He is holding a cardboard "HELP" sign on his side. The look on his face is one of desperation. 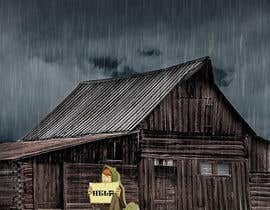 As he looks at this house that could be his, but he knows it never will be. The sky is dark blue and cloudy, the rain is heavy. 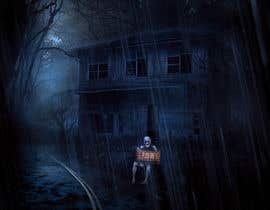 The house is empty, no lights on and a bit dirty on the outside because it has been vacant for sometime now.